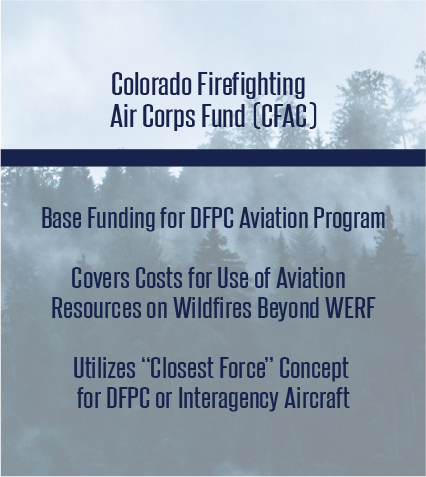 The CFAC Aviation Program provides for safe and efficient aviation services to meet DFPC’s wildfire management goal. Utilization of technology, sound aviation management practices, and highly trained and motivated personnel will reduce risk, loss, waste, and expenditures. The Fund was established in 1967 by a group of Colorado counties that recognized that some wildfires may exceed the counties’ individual resources and ability to manage. Participation is voluntary, and currently, 43 out of 64 counties in Colorado participate. 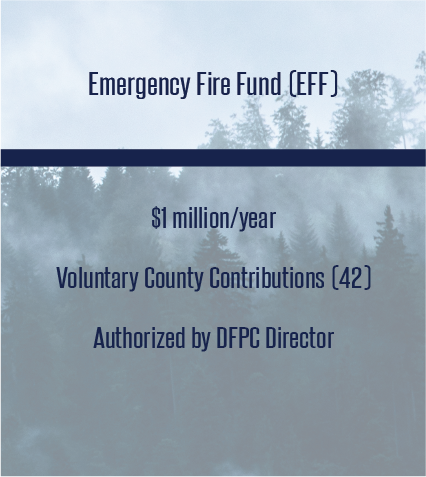 A 9 person committee comprised of 3 County Commissioners, 3 County Sheriffs, 2 Fire Chiefs, and the Director of the Division of Fire Prevention and Control oversees the administration of the Fund. A county's annual contribution to the Fund is calculated using a formula based on the number of forested acres in the county and the annual property tax valuation. 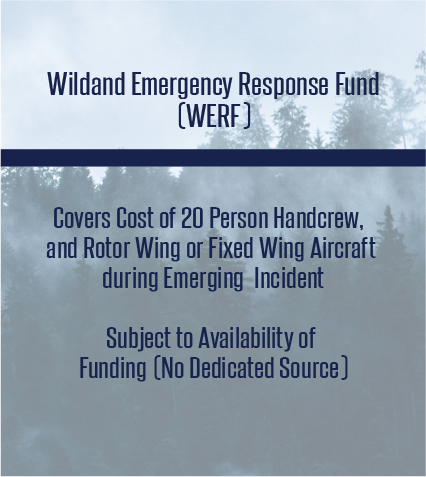 Requests for assistance from the Fund must originate from the County Sheriff and DFPC approval is required. Once accepted, an EFF fire is managed under the direction of DFPC. DFPC assumes management and financial responsibility along with the sheriff.